Please be aware that Ouse bridge will be closed for 1 week from Saturday, 8th July from 8am, please follow the alternative directions below. M6 J40 onto the A66 towards Keswick. At the Keswick roundabout take the third exit onto the A591 towards Carlisle. After approx 6 Miles turn left at the Castle Inn Hotel onto the B5291. We are on the right after 1 mile. In case you didn’t know, our reception area is also home to the Herdwick Croft Gift Shop! 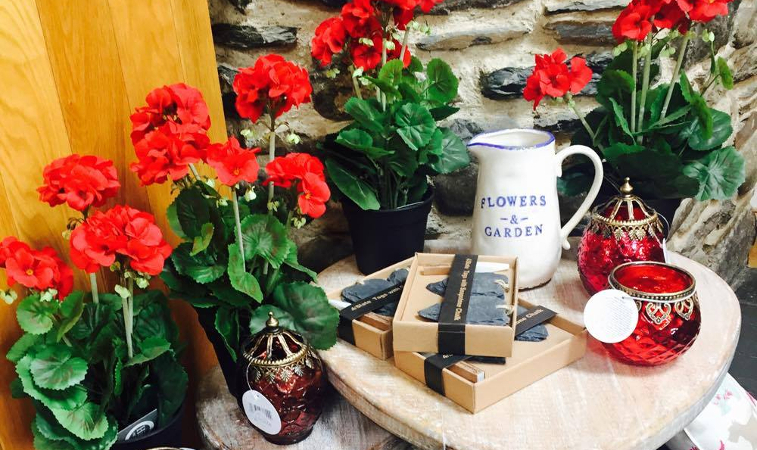 We stock a wide variety of homewares, gifts and flowers from luxury brands including The Herdy Co, Sass & Belle and Saddleback Slate. Whether you’re looking for a special gift for a friend, family member or partner, or an ornament to spruce up your home or tourer, you’ll sure to find something to suit. We have lots of beautiful items in stock at the moment, please scroll to browse a few of our collections. If you would like to purchase an item please get in touch by calling: 017687 76241 or visit our reception. We are happy to deliver locally.